Nutmeg mannikins are often seen in flocks and are flighty birds. By this, I mean they’re the kind of bird that constantly flits around and gets farther away in the process. They feed on grass seeds, climbing up the stems and stripping the seeds off the ends. 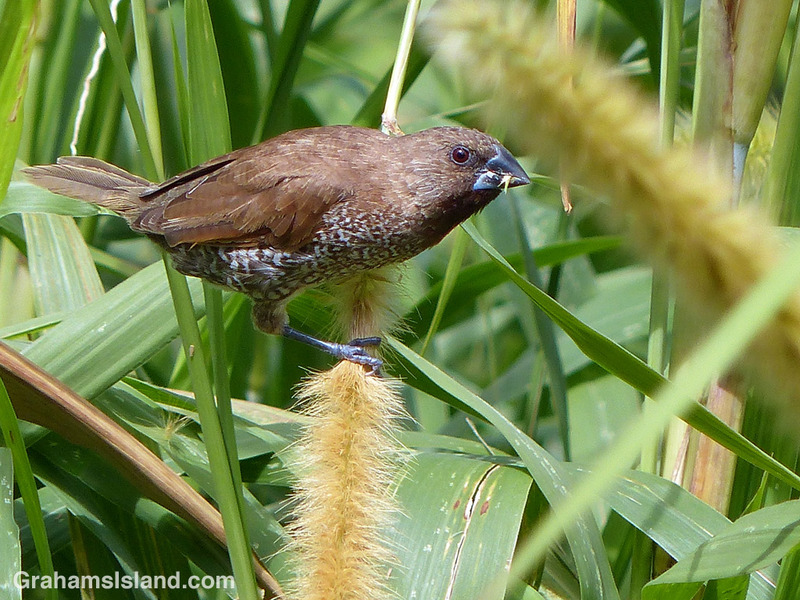 In Hawaii, when cane grass (Pennisetum purpureum) goes to seed it’s a popular feast for a variety of birds. Here, one of a small group of nutmeg mannikins, busily plucks seeds off this stem before moving on for more.